Whether you plan to take a few weeks off living in a remote location or a few years travelling round the world, making sure you have comprehensive travel insurance during your career break is a must. Putting aside funds to finance the right insurance to cover any eventuality is not a luxury but a necessity. Some companies offer specific career break insurance, but don't fall for the hype. It's a good idea to investigate what's on offer to see if this really makes sense. Make sure the insurance you purchase covers the sports and/or activities in which you are planning to partake, i.e. hang-gliding, water-skiing, scuba-diving or yachting. The risks are considerably greater when you participate in potentially dangerous activities, so don't skimp and get caught short. Get a personal life insurance policy as well as up-to-date health insurance. Make sure it will include any physical activities you may be participating in during your career break. There are loads of policies on offer, shop around to get both the best cover and the best price. Don't forget that a dramatically different environment, climate, altitude, food, water etc can affect your health. If you will be travelling in parts of the European Union, you'll also need to take with you the EHIC (European Health Insurance Card), which has replaced the E111. It's wise to keep in mind that as far as insurance is concerned, personal safety ultimately is your responsibility. If you're reckless during your career break and incur personal injury, your insurance may not cover it. If you are travelling to somewhere deemed unsafe, insurance also may not cover it. Check government travel advisories before you go to see if this is the case. It also pays to give someone power-of-attorney in your absence, just in case. This could be of immeasurable help not only in case of serious illness or injury, but also if there are problems with your property and/or possessions while you're gone. Even though you may be in a another country, most of us will still have responsibilities and commitments back home. Tell your car insurance company that you will be abroad and if someone else will be driving it in your absence. If not, you may need to make preparations for safe car storage, which could start from about £15 per week, depending on where you live. Similarly, it might be a good idea to have up-to-date pet insurance if someone is looking after Mog or Fido in your absence. If you are renting out your property you'll need to let your insurance company know, and make sure your tenants are fully insured throughout the duration of your career break. If you leave your property empty, tell your insurance provider. If you are letting it out unfurnished you may save on contents insurance, but make sure your tenants have their own. If something goes wrong you don't want to be left with their bill! If you do put things in storage, make sure they are insured. You may assume they are when they actually aren't, so always read the small print. If you plan to drive abroad, make sure you are fully covered. Don't assume your domestic car insurance will cover things. It won't. 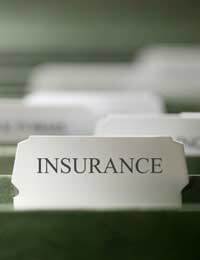 Check to see if your insurance will cover everything you need, not only your health but lost luggage, cancelled flights, personal belongings, emergency evacuations, loss of passport, even the cost of having a funeral abroad. It may sound morbid, but it's better to be safe than sorry. Memorise all your insurance details, as well as your passport number. If you get robbed or lose your possessions abroad you'll want to make sure you have all the necessary details in your head. Credit card insurance costs about £20 per year and lets you cancel everything in one go. This can be a good idea if you are travelling to a remote location in particular. Travelling on a career break is a fantastic experience, and having the right insurance will give you the peace of mind you need. This is particularly important for any break that could put you and/or your family at increased risk as far as your general health and safety are concerned. Find out what is and is not covered in advance of your trip, and leave knowing that you have the right protection you need. Bon voyage!